Anyway I had planed a Great Wall trip, so no need to cry about bad weather. This is surely one of the most beautiful of my many GW trips, and on a clear day Naziyu would surely offer one of the best views in Hebei. Forest or Great Wall? Both! I've never been to a Great Wall location with so many trees on the wall. Last edited by Kim; 10-19-2009, 04:34 AM. Together we can attempt that climb to the next tower going towards Huachangyu. I reached that tower yesterday on a beautiful clear day - from here I was able to see parts of the wall all the way to Zhuizishan about 18 kilometres away. Actually it is very easy to reach this tower, it is just a matter of finding the right path. The tower seems to be older than the rest of the Naziyu towers but very well preserved. I can only imagine what it must have been like to be posted on a fighting platform with an invading army approaching. At any rate your pictures are a pleasure to view. These photos are great, the watchtowers doorways with the carving are very interesting. The colors are amazing as well. I am familiar with the barrier walls at Jinshanling, but I am not familiar with fighting platforms are they apart from the wall, set off on there own and how many men could they hold? I am a genuine novice, but this is fasicinating. I don't know how many men could hold. Beautiful! Thanks for sharing those photos. 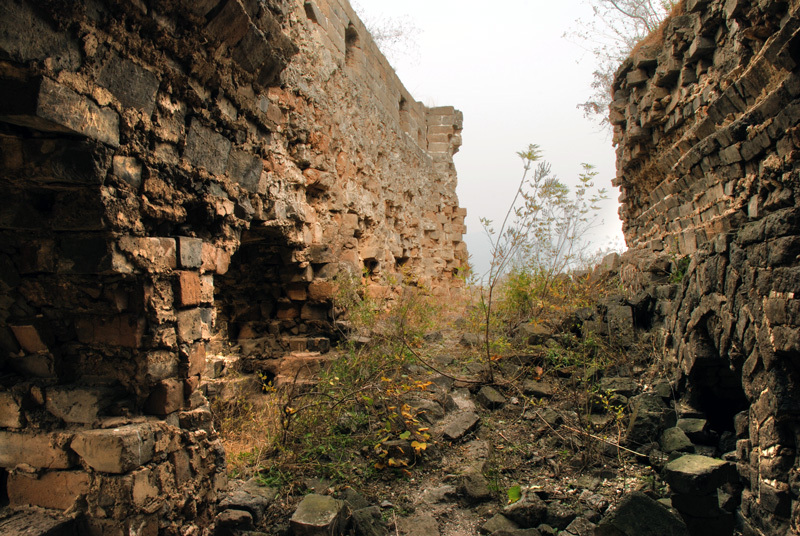 Actually I plan to visit the Huachangyu area again later this year, to try to find a path up to the wall close to the Naziyu section. Thanks so much for showing us these photos. Even in spite of the foggy weather, they are gorgeous. Naziyu is a beautiful place and I can't wait to see it. 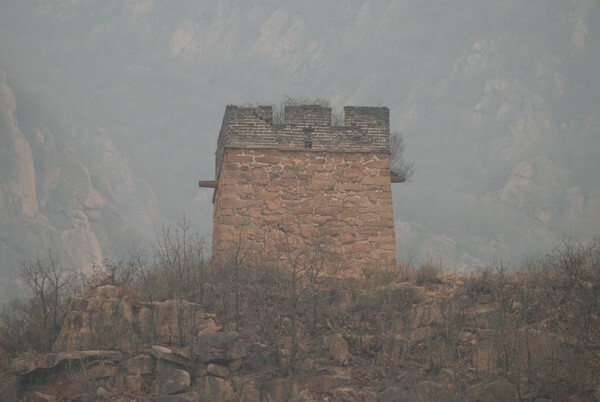 Together we can attempt that climb to the next tower going towards Huachangyu. Xifulou is a very special tower, a real national treasure, and I hope it's preserved in its present condition for a long time. It will now be easy but I don't think it will be impossible to continue from this point. To follow the wall all the way to Huachangyu will probably not be possible (it is very steep north of Huaxhangyu). Probably it will be necessary to walk down from the mountain and then follow the road towards Huachangyu. This area marks the beginning of probably the most difficult part in all of the Eastern part of Hebei. Yes, Xifulou is definitely one of the top Eastern Hebei towers. Last edited by Kim; 10-18-2009, 01:15 PM. Last edited by Kim; 10-18-2009, 01:12 PM.